While much of Macon county was receiving more than two inches of rain on Saturday, Jan. 3, thirty citizen-scientists counted area birds. It was Franklin’s Third annual Audubon Christmas Bird Count (CBC), sponsored by the Franklin Bird Club. 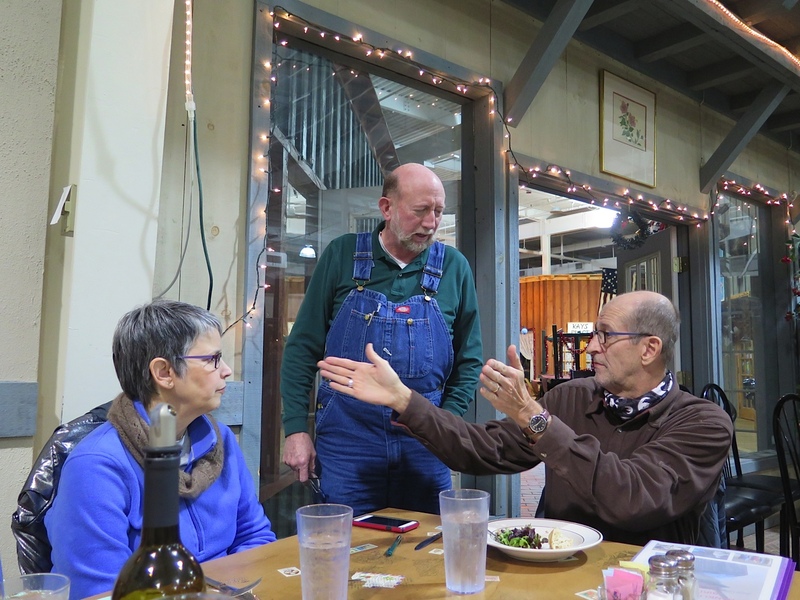 Franklin’s History with the Christmas Count: Three years ago, at the prompting of Bob Gilbert, the Franklin Bird Club applied to Audubon to be a site for the yearly count. The application included designating a circular area, 15 miles across, which was then divided among 5 teams of birders. 2012 was a practice year with CBC reports submitted to Audubon and details worked out but nothing was official. Last year was Franklin’s first official count. The attached is a chart comparing Franklin Christmas Bird Count results for the last 3 years. Members come for the Franklin Christmas count from Highlands, North Georgia and as far away as Asheville. The bird count date, which must be between Dec. 14 and Jan. 5, is set by the local club. So for some members, this is just one of several Christmas Bird Counts in which they participate. The day begins for most around 7:30 with a designated route to drive or walk. One team walks the Greenway–even in the rain. A quick lunch and birding continues until about 4 pm. Teams gather for dinner, totals are shared and unusual bird sightings are celebrated. Another change was put in place this year. Feeling that the local community might be alarmed by an unknown car stopped and five or six binoculars pointed at them, CBC organizer, Rita St. Clair, had magnetic signs made to identify the vehicles being used. No need to fear, it’s just the Franklin Bird Club and the annual Christmas Bird Count. The annual Christmas Bird Count provides a great opportunity for winter birding, fun with friends and wraps up the day with good food. Thanks to all who planned and participated in this year’s count. There’s always room for more birders so we hope to see you at next year’s Christmas Bird Count.